This course is for telecommunications workers who are required to complete a HSENE – HSE for New Entrants. It is aligned to the Accredited Service Provider (ASP) 1xf program. The content is designed to deliver the ‘best practices’, to assist the telecommunication industry workforces when working in a deregulated carrier network. This training program is delivered in two parts and combines both self-paced e-learning to cover off the theoretical components of the course as well as classroom based learning where students will undergo a range of practical assessments. The self-paced e-learn component is to be completed in your own time but must be successfully completed prior to attending the two (2) day practical classroom component. Both the theory and practical components need to be successfully completed to be deemed competent. This program places greater emphasis on the manual handling, lifting and carrying of ladders. There is sufficient time to allow learners to become accustomed to working at height on telecommunication and share use poles. This course is highly recommended for learners that are new or are returning to the trade after a prolonged absence. This course also includes JBHT-01WMH working at manholes. Upon the successful completion of this course, learners are eligible to enrol in the HSEI assessment and practical program in the following year. Before enrolling in this program, learners are advised to discuss their training requirements with their delivery Partner. What do I take to the HSE course ? 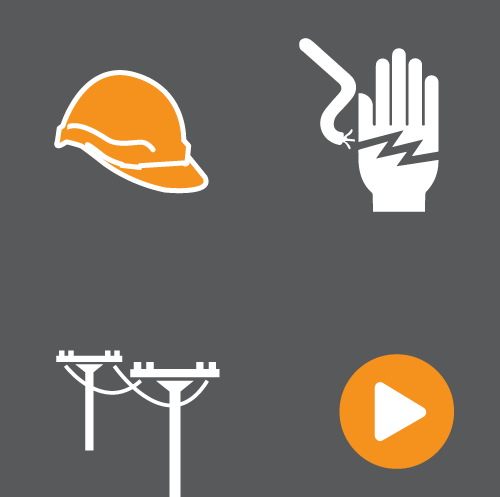 Knowledge and application of Electricity Supply Industry (ESI) safety rules and codes of practice for work on or near electrical apparatus. It includes the application of relevant State and Territory safety rules, codes of practice and enterprise based procedures. Information needed to implement safe work procedures when working at pits and manholes. Outlines the processes you need to follow in emergency situations. Provides a practical component for retrieving a person from a cable jointing chamber (manhole). Types of ladders used. This course will help you select, lift, carry, use and care for ladders. Information needed to implement safe work procedures when working in pits and manholes. Outlines the processes you need to follow in emergency situations. Provides a practical component for retrieving a person from a cable jointing chamber (manhole). 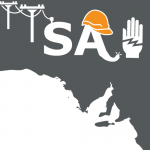 Further training may be required by the electricity supply authority in your jurisdiction. Please contact your employer/delivery partner if you have any questions about your HSE requirements before enrolling in this course.